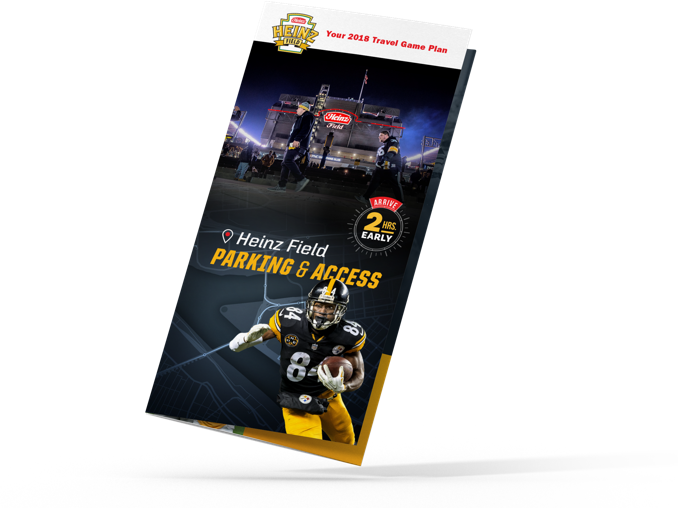 Heinz Field and WAZE have partnered up to give you the best directions directly to your parking spot! Using your phone, click the links below to get directions. Get printable maps and directions to your specific parking lot. Which direction are you coming from? We can’t wait to host you at Heinz Field! Before you make the trip, check out our Parking and Traffic Guide. We have mapped out all of the best routes and parking lots for you so that your entry to and exit from the stadium are as easy as possible. Thank you for choosing Heinz Field, we hope you have a great experience!